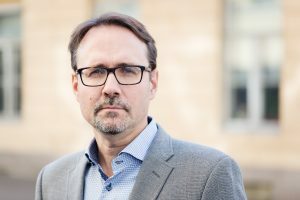 I am Professor of Criminology at the Institute of Criminology and Legal Policy, University of Helsinki. My job description also includes directing the Criminological Unit of the Institute. The Institute is part of the Department of Social Research at the Faculty of Social Sciences, University of Helsinki. As a sociologist (D. Soc. Sc., University of Helsinki 1994), I specialized in criminology early on in my research career. While remaining a sociologist in orientation, I today see myself a criminologist doing social science criminology. My research has focused on homicide, delinquency and criminological methods. I have been centrally involved in the creation of research based crime indicators, such as the Finnish Self-Report Delinquency Study (FSRD, 1995-), the Finnish Homicide Monitor (FHM, 2002-), and the Finnish Crime Victim Survey (FCVS, 2012-). Since 2010 I have served in the Steering Committee of the International Self-Report Delinquency Study (ISRD). In the study of the history of criminology, I have combined the perspectives of sociology of knowledge and history of ideas. The monograph Discovery of Hidden Crime (Oxford University Press, 2011) presented an historical analysis of how criminological paradigms develop in interaction with methodological innovation and policy concerns. I have also explored the work of Veli Verkko (1893-1955), the founder of Finnish criminology. I additionally serve as the Director of the Master’s Programme in Social Research in the University of Helsinki.The Programme boasts six disciplines: criminology, demography, social policy, social psychology, social work, and sociology. As the Chair of the Research Division of the Finnish Council for Crime Prevention, my aim is to increase the relevance and impact of applied criminology.